Anyone that has ever had to organize a conference will tell you there are 1000s of venues to choose from. When choosing a venue for your next conference in Puri there is more to consider than just the budget. By taking into account the type of delegates attending, from how far and how many are just a start. If you are planning a conference in Puri here are some elements that you might find handy in narrowing your search for the perfect venue. 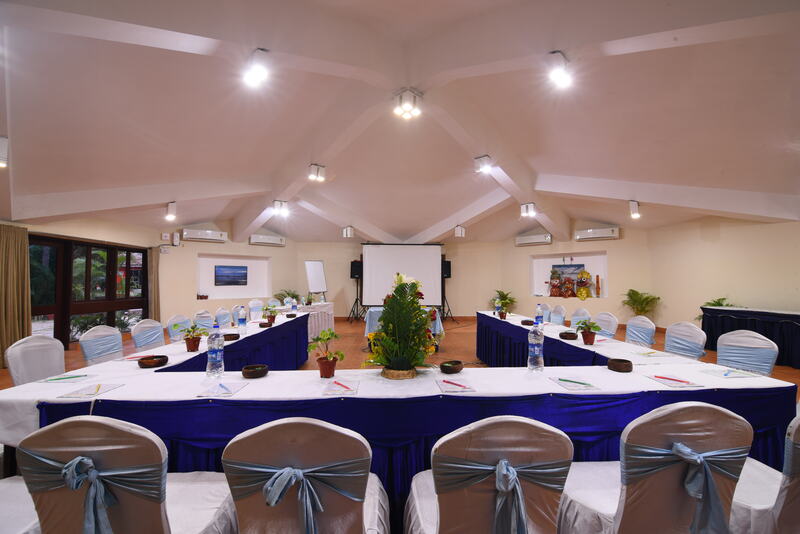 And see the features how Toshali Sands sets as per your expectation for corporate meetings. Establishing the size of the conference, how many delegates will be attending is a starting point when choosing a venue. The space requirements, layout, seating capacity are all variables to consider in a bespoke manner to the needs of the individual conference, whether it is a small workshop with meeting rooms or a large lecture theatre with staging. Also considering social and networking areas for delegates to take time out and have a comfortable experience. At Toshali Sands you will find enough space, large seating capacity, wide range of conference halls with different themes to arrange a successful conference in Puri. A venue that can cater for an international as well as national and regional audience is becoming a high priority. A venue that is easily accessible and in a prime location can be the deciding factor, so good transport links and close to local amenities is crucial. Though Toshali Sands is little far away from the center of Puri but it is very much accessible. The best thing about Toshali is, it is situated far away from crowd within peaceful settlement. With video conferencing and the rise of mobile internet to stay connected while on the move are becoming increasingly popular, the technology requirements have evolved. Services such as high speed broadband, digital projectors and screens, flip charts, audio systems and social media need to be considered before choosing a venue. Looking for a high value and a quality venue within your budget can be difficult, so being adaptable for outlook, services, layout and general feel of the building can help to vary the price. It is worth trying to negotiate on the price factor and not just going with the first quote they offer. You also need to ask about the cancellation policy, the amount and timing of the deposit, any special deals or discounts available and that there are no hidden costs. Considering all the elements is encouraged but knowing that the particular venue is available for the dates required is vital. Finding out their flexibility to changing details such as dates/timings/ requirements and needs are vital before enclosing the deal. Not only checking the conference venue availability but also amenities such as equipment and accommodation are available on the required dates. Polite, helpful, knowledgeable and friendly staff will add immense value to the venue for the conference in Puri. Coupled with being able to offer appealing and appetizing food and drink to the delegates is without doubt an area where many venues can lose the battle against others that have an excellent catering service. The food should be good quality tasty traditional food at a fair price and that will please the majority if not all the delegates. By considering these elements will allow you to find a great venue for your conference. So when you are searching for a perfect venue for the conference in Puri, don’t ignore Toshali Sands, which could be the first choice to meet your corporate needs. When planning for a conference in Puri, and the headache is to search good venue, then think about Toshali Sands. It is one of such resorts in Puri that is the first choice of all corporate along with visiting the city.